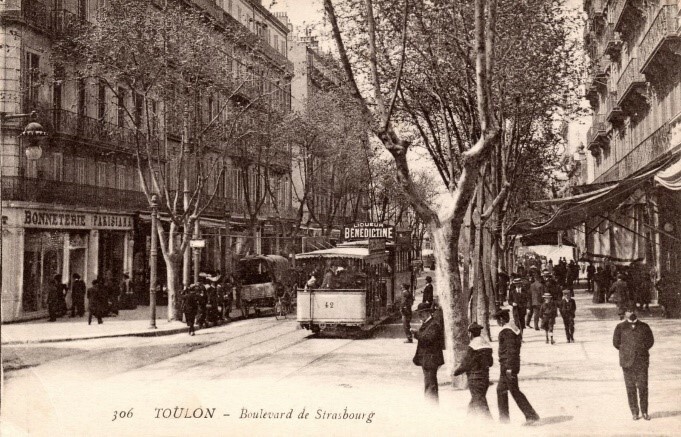 As the fifteenth city of France, Toulon warranted a tram network. 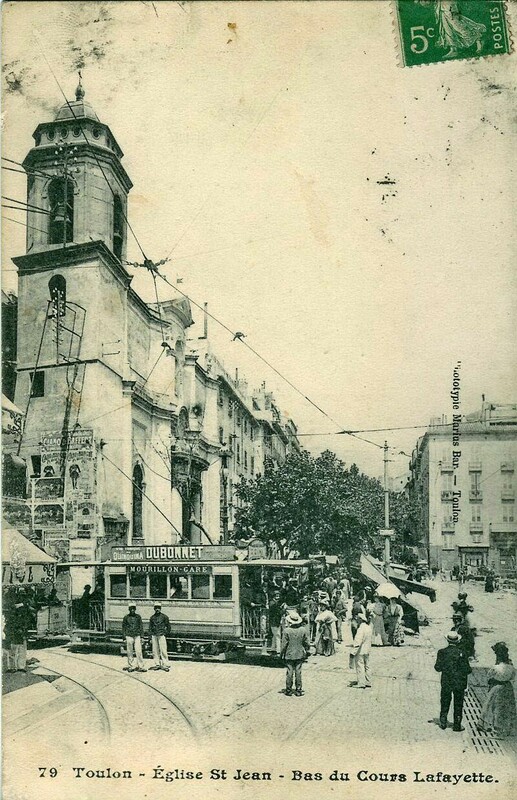 Trams first operated in the city in 1886. The map below shows the network in the 1930s. The last trams ran in 1955. The maps above are the best I could find researching the internet. They give a reasonable impression of the extent of the network at its height. Each in their own way highlighting different things. 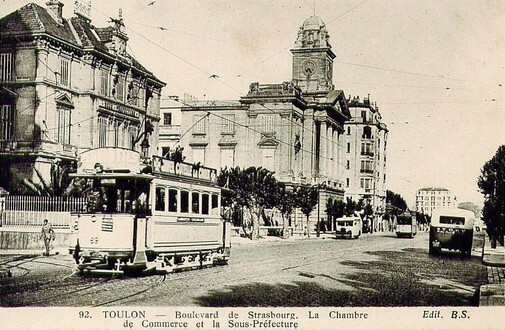 The last is from the Wikipedia article on the Trams of Toulon. The one above that comes from the web pages of Roland Le Corff. Two different tramway networks are evident on the plan provided by Le Corff. 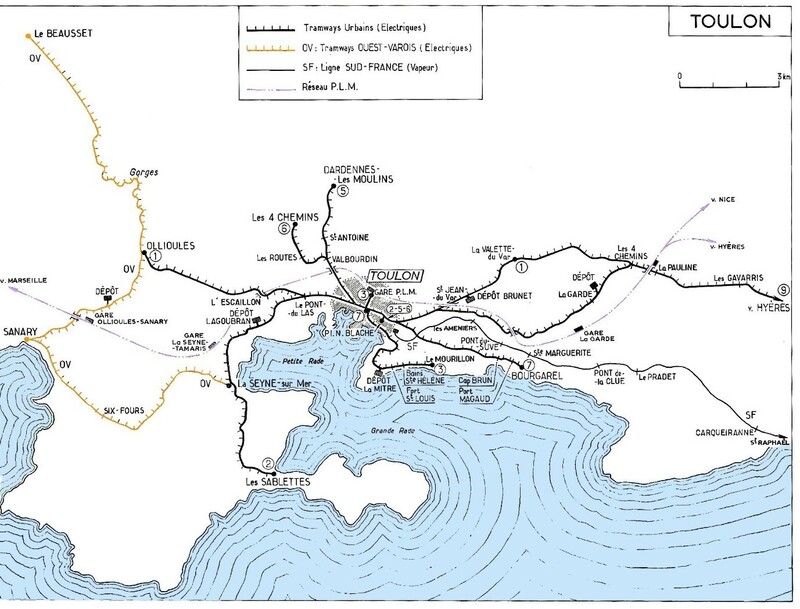 The urban network and the tramways of Western Var. Those of the Western Var must of necessity be a matter for another day or time. 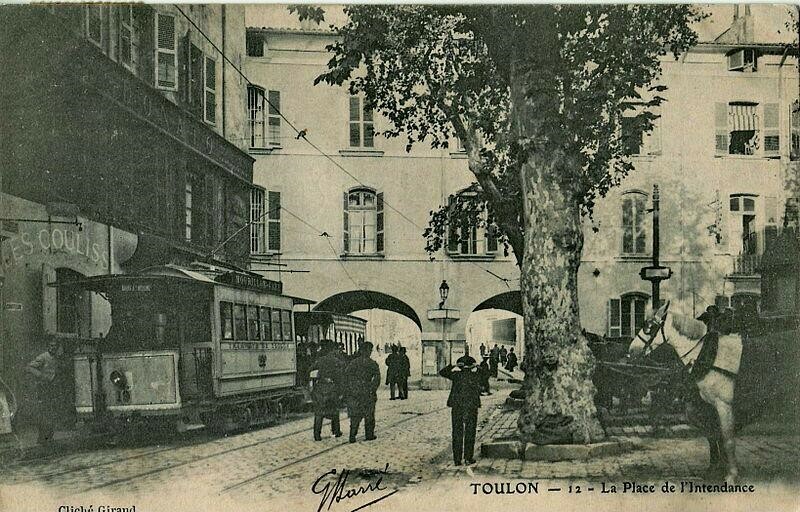 There is an excellent website dedicated to all sorts of things related to Toulon, and in particular its trams, developed by Roland Le Corff (Mes Annees 50). 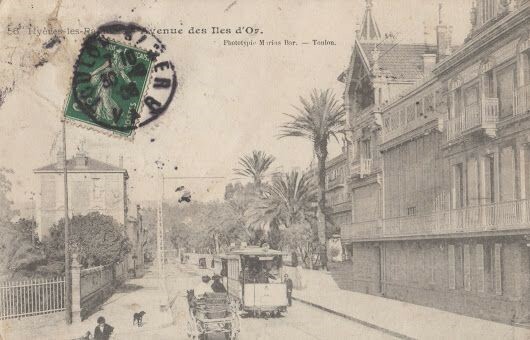 Toulon’s tramway era began on 17th January, 1881, the date of the inauguration of the very first Bon-Rencontre to Pont-de-Saint-Jean-du-Var line with trams pulled by horses. Le Corff says that the early ancestor of the tramway was invented in 1775 by Englishman John Outram (whose name well have resulted in the use of the word ‘tram’); Outram’s vehicle, pulled by two horses, ran on two rows of cast iron rails but did not operate in towns. In 1832, John Stephenson built the first urban streetcar in New York between upper Manhattan and Harlem. In 1852, the Frenchman, Alphonse Loubat , a native of Nantes, proposed the idea of rails embedded in the roadway Loubat’s idea was an immediate success. Loubat built a line on 6th Avenue in New York in 1852; in 1853 it was the turn of Paris between the Place de la Concorde and Saint-Cloud. 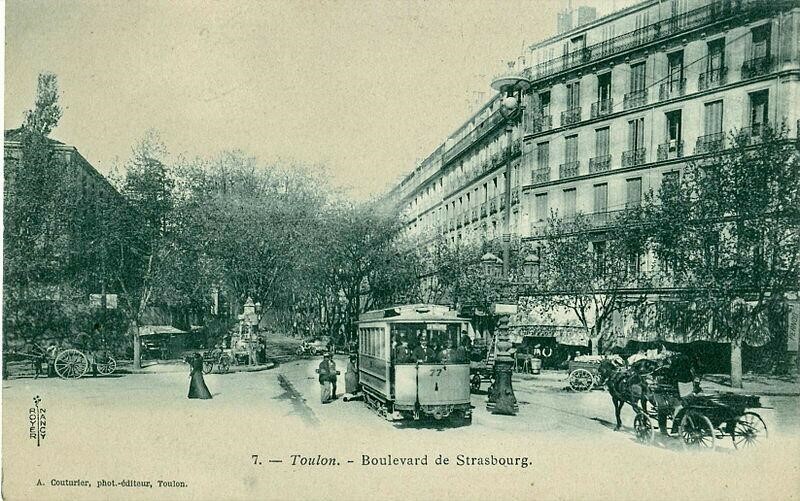 Horse-powered trams were very successful, but their range was limited because horses tire. The animals could only travel about 20 km per day and needed a rest every hour (loads were heavy despite the advantages of rails). Moreover, housing, feeding, veterinary care, etc. were all expensive. Dung was also a problem. Mechanical trams were mooted and first attempted in Parish in 1876. Options were considered including steam and compressed air. Le Corff says that the first electric tram was shown by Werner Siemens at the Berlin exhibition in 1881, a little later, the first operational electric tram line was built in 1888 by the American Frank Julian Sprague (a 27 km line in Richmond in Virginia). 10 years later, 40,000 cars were circulating in the United States. 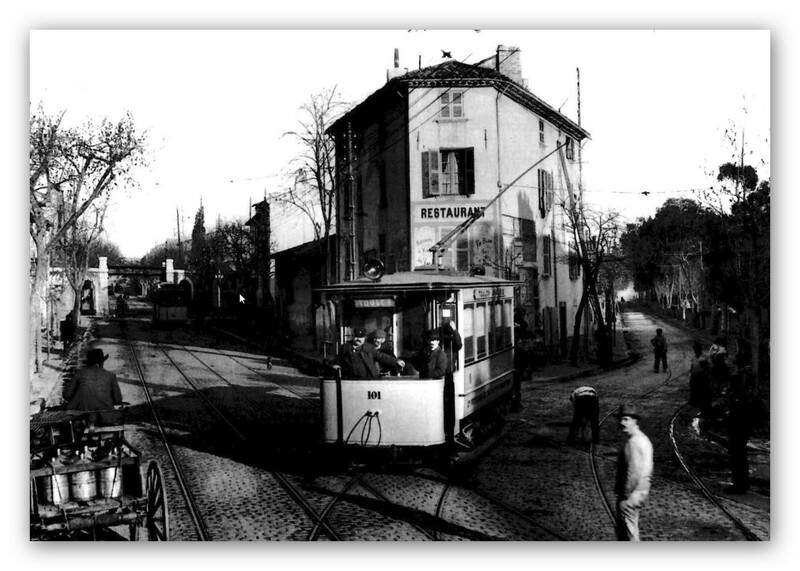 In France, the first electric motor circulated in Clermont-Ferrand on 7th January 1890. 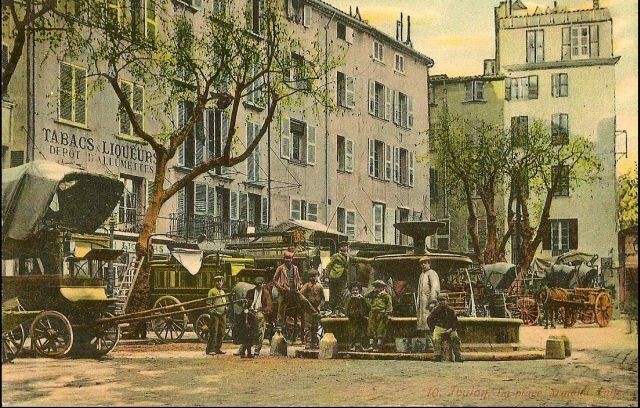 At the end of the 19th century, Toulon had grown significantly, new buildings had been developed along the Boulevard de Strasbourg between 1860 and 1890. The PLM Station was opened in 1852. 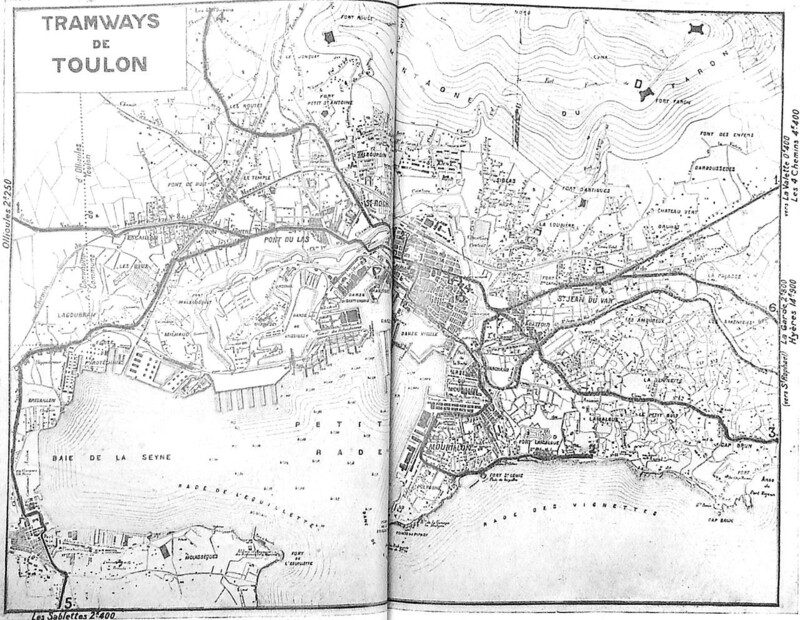 The outlying districts had expanded: distances from the centre of Toulon were increasing for commuters and services were limited. Horse-drawn buses were working. Small omnibuses served the suburbs, pulled by two horses. 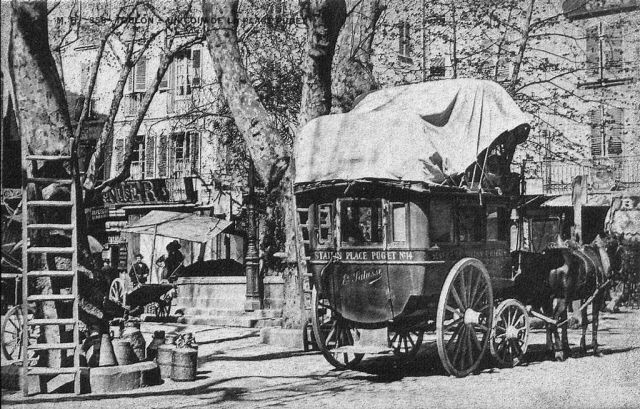 The two larger images below show a typical omnibus in Puget Square, and Le Place Armand Vallée which was the starting point of services to the villages of the Var. The intention to provide a horse-drawn tram network was announced by the State on 18th January 1876. 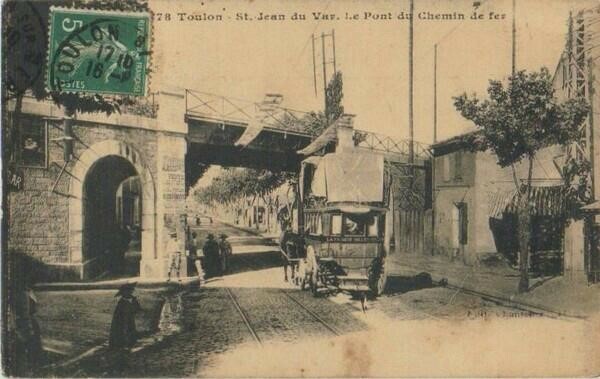 It was not until 16th January 1886 that two lines serving St-Jean du Var and Bon Rencontre were established. 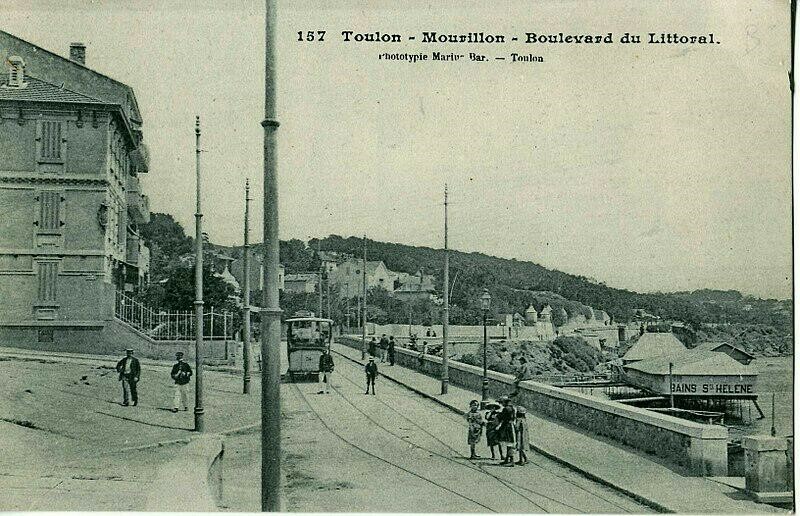 Another line was completed from Place Louis Blanc to Le Mourillon in 1889. Then one to Bains Sainte-Hélène. In 1892, another length was constructed from Valettois to Camille Ledeau. A switch from horse-drawn trams to electric power was requested and considered by local councils in 1896. 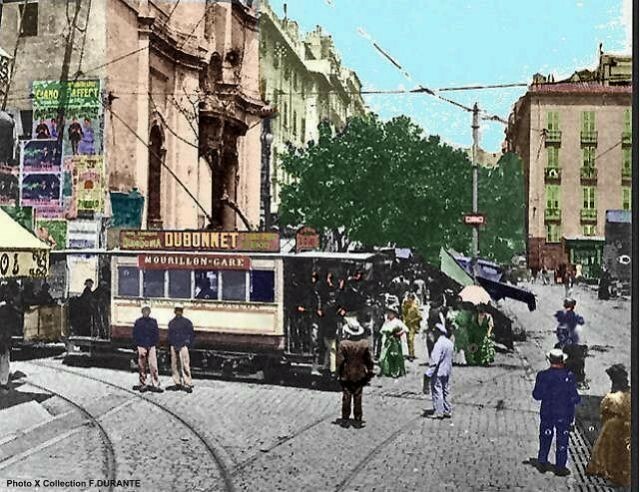 On 30th July 1897, the first electric trams ran on the line between Bon Rencontre and Valletta. Everything went very well and further electrification took place. The network reached its fullest extent in 1911. The network went into decline during and after the war. 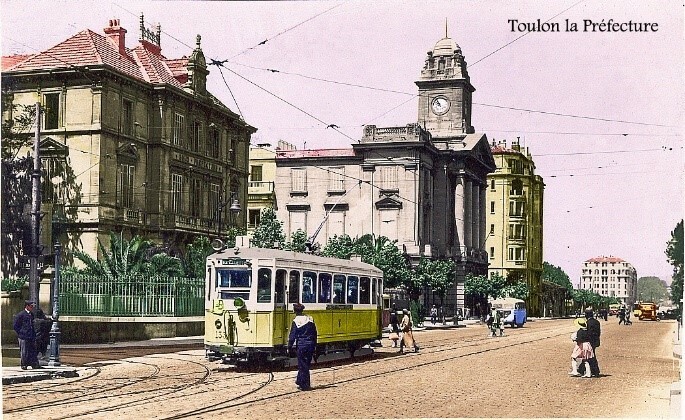 Poor maintenance left the vehicles and tramways in a parlous condition and the population of Toulon welcomed the eventual replacement of the trams by trolley-buses. The first trolley-buses went into service in 1949. The last trams ran in 1955. Sadly, no effort at preservation was made. Trams were scrapped almost immediately after their last trips. 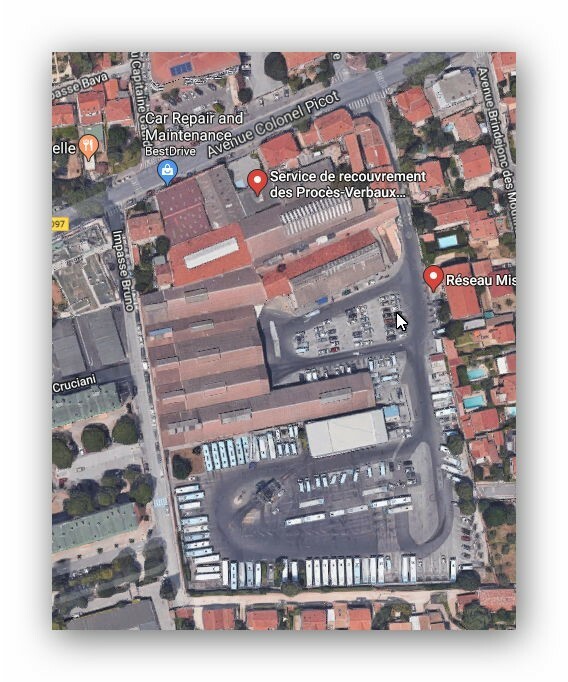 The route which most interests us for the purposes of this series about the Chemin de Fer du Sud Littoral is that length of tramway between Toulon and Hyeres. As can be seen on the map below there was a tram route in direct competition with both the PLM branch to Hyeres and the Chemin de Fer du Sud. Ultimately, this competition was to make the tramway and the two railway routes struggle to guarantee enough income to survive. Ultimately, only the PLM branch-line survives in 2017. Routes Nos. 1 and 9 are the ones which most interest us, particularly route 9 which served Hyeres. The picture below the map is taken at the junction of Route 1 and Route 9 on the south side of the railway line in the picture above. The Depot Brunet is beyond the railway bridge which can be seen in the distance. The photographer is on Boulevard Marechal Joffre (D97). The road to the right is Avenue Joseph Gasquet (D559). The layout is similar in 2017! The railway bridge has been replaced and the tramlines are long-gone but the building at the centre of the picture remains. This is the railway bridge in the last postcard. 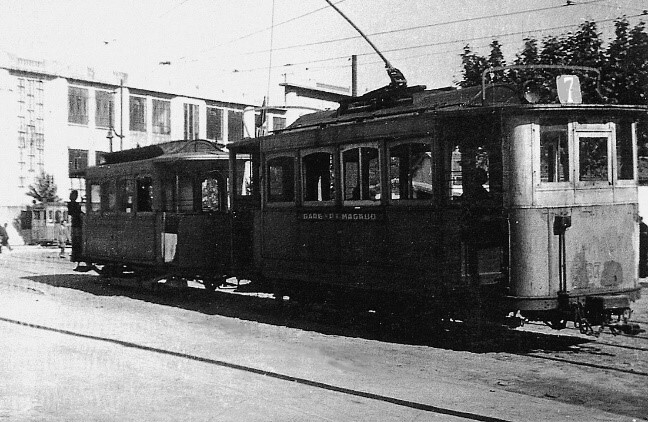 It carried the PLM line over Boulevard Marechal Joffre. Close by was the main depot and maintenance yard for the tram network – Brunet Depot. 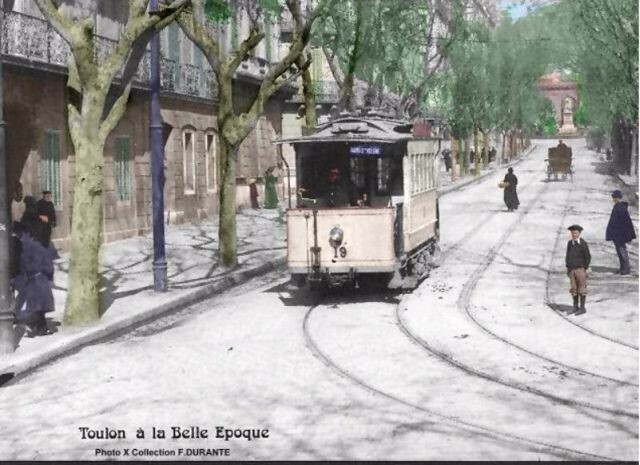 The picture below shows the same location today on Boulevard Marechal Joffre today. 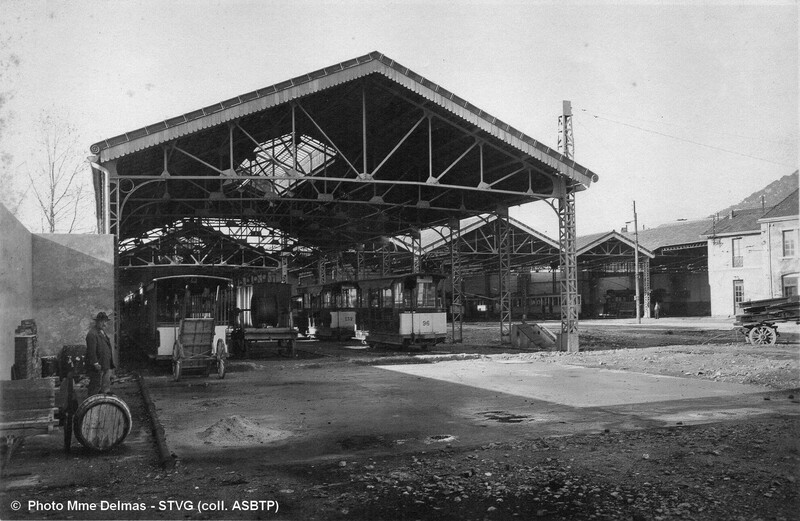 Brunet Depot was the main storage and maintenance depot on the Toulon tram network. It is still in use as a transport depot today. The line Réseau Mistral use the depot. Travelling East, Boulevard Marechal Joffre gives way to Avenue Colonel Picot and access to the bus depot (the old tram depot) is on the right down Rue Octave Virgily. 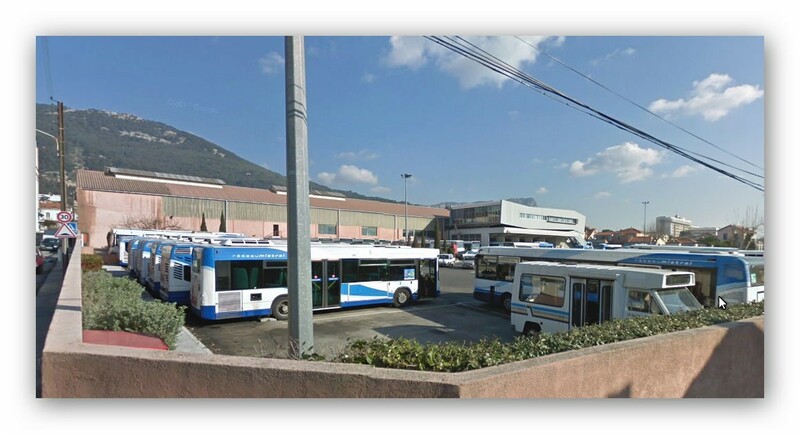 Beyond the tramway depot, Ligne 1 continued to follow the D97 and then the D246 to La Valette du Var. 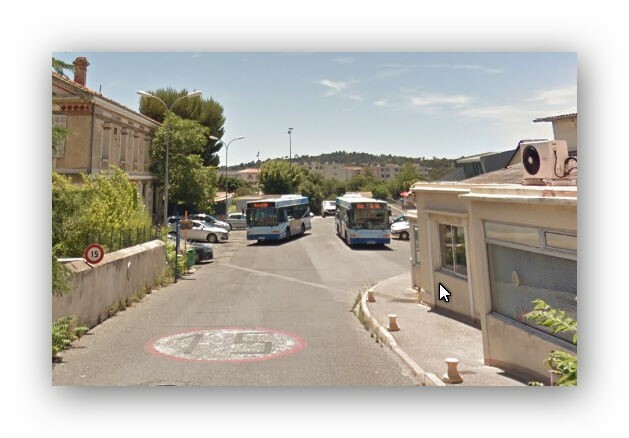 The tram tracks then travel further East on the D98 on the North side of the Campus of Toulon University to Les 4 Chemins. 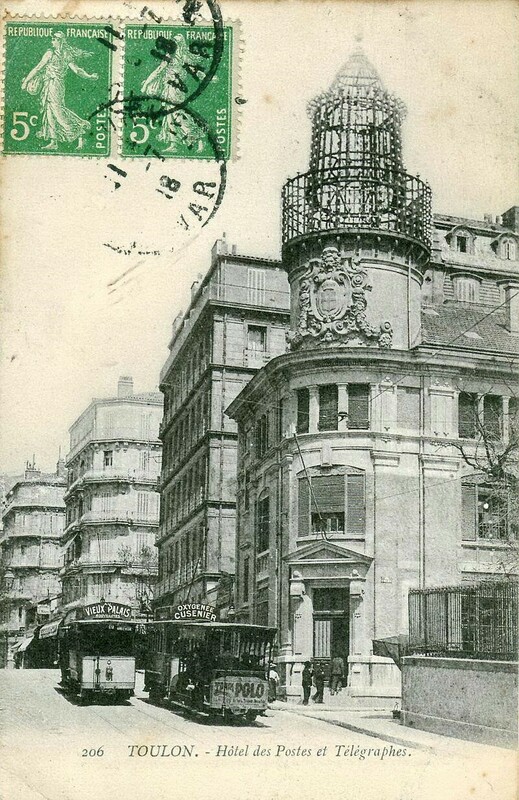 Ligne 9 leaves Boulevard Marechal Joffre along Avenue Joseph Gasquet (D559). It follows the D559 and then the D29 through La Garde to Les 4 Chemins. It then runs to the south of Gare de la Pauline-Hyeres on the D98. 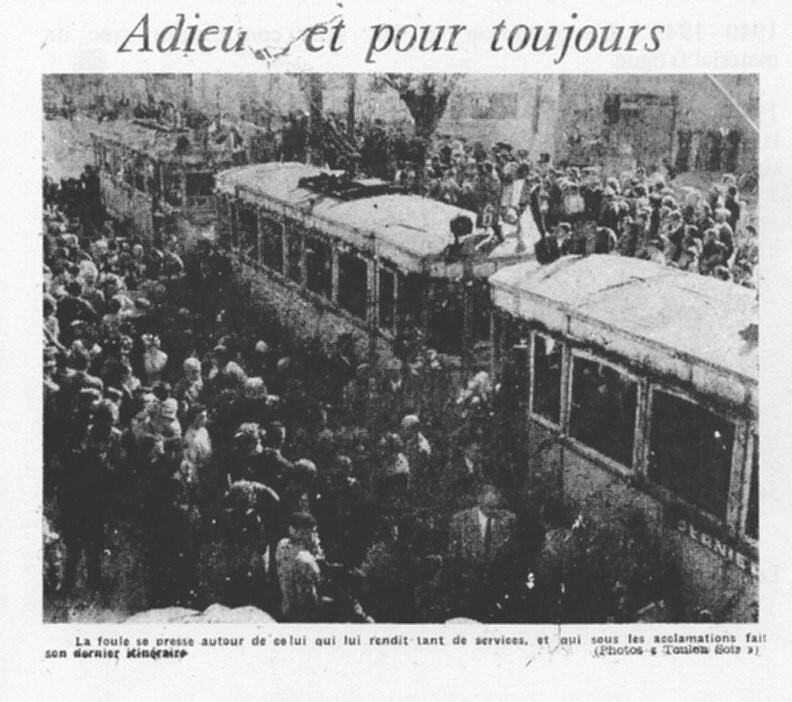 Trams continued along the D98, the D46 and the D554 to Hyeres. 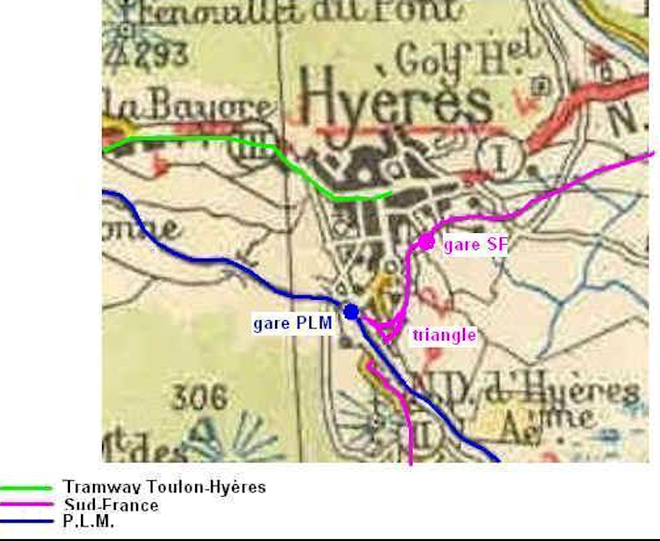 The Green line on this map shows the tramline in Hyeres. 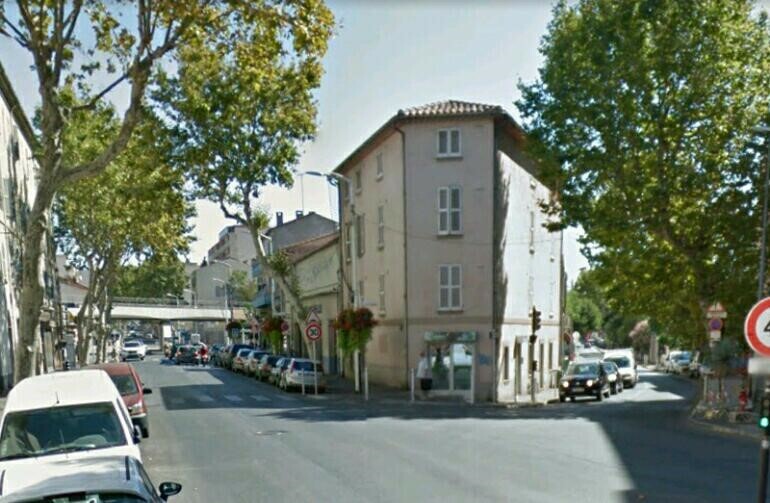 The route approached the centre of Hyeres on Avenue des Iles d’Or. 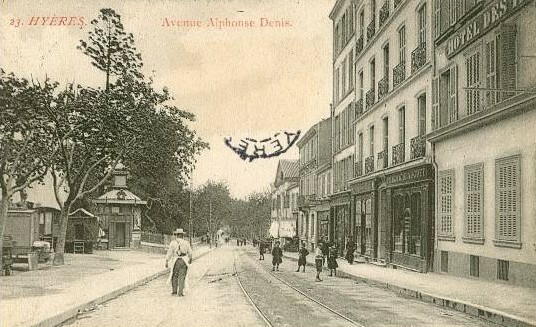 This then became Avenue Alphonse Denis in the centre of Hyeres (although the stretch of road on which the terminus of the tramway was placed is now known as the Avenue General de Gaulle). 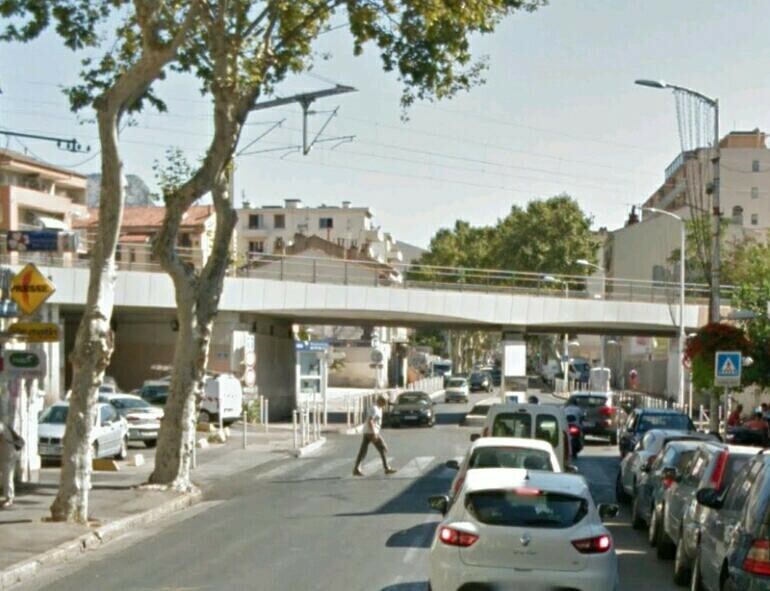 Wikipedia; https://fr.wikipedia.org/wiki/Tramway_de_Toulon, accessed 20th December 2017. 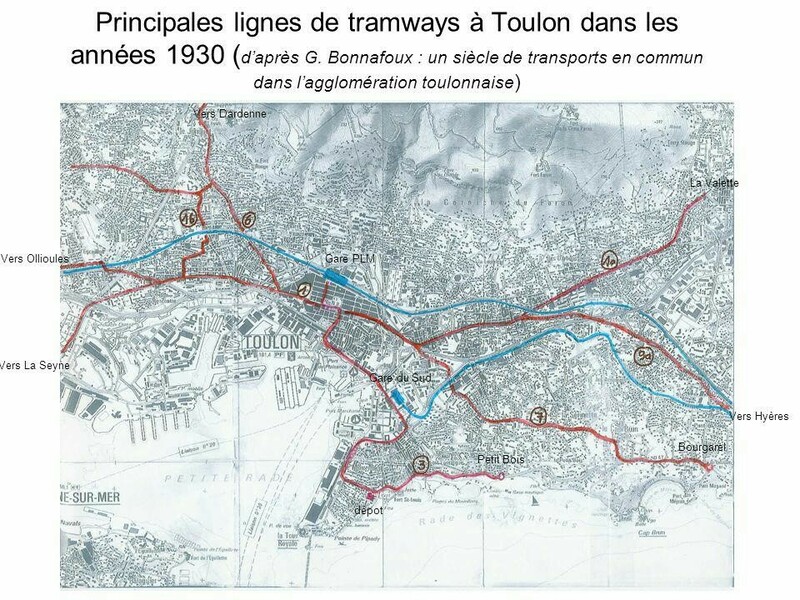 R. Le Corff; http://www.mes-annees-50.fr/Tramways_de_toulon_plans_reseau.htm, accessed 20th December 2017. R. Le Corff; http://www.mes-annees-50.fr, accessed 20th December 2017. Gabriel Bonnafoux & Albert Clavel; 1880-1980: Un Siecle de Transports en Commun dans l’Agglomeration Toulonnaise, Atelier du Beausset – 83330 Le Beausset, 1985. 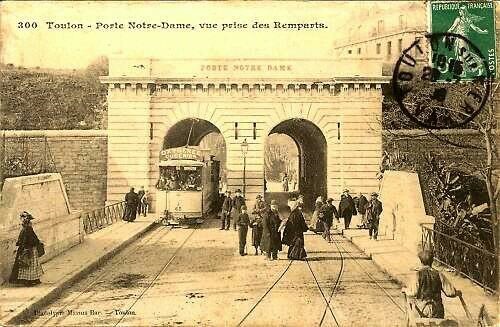 This entry was posted in Railways and Tramways Around Nice, Railways Blog on December 23, 2017 by rogerfarnworth.